benefit writers - all you art directors and designers have can learn too. Effective writing skills are to a writer what petrol is to a car. Like the petrol and car relationship, without solid skills writers cannot move ahead. These skills don’t come overnight, and they require patience and determination. You have to work smart and hard to acquire them. Only with experience, you can enter the realm of effective, always-in-demand writers. Of course, effective writing requires a good command of the language in which you write or want to write. Once you have that command, you need to learn some tips and tricks so that you can have an edge over others in this hard-to-succeed world of writers. There are some gifted writers, granted. But gifted writers also need to polish their skills frequently in order to stay ahead of competition and earn their livelihood. We collected over 50 useful and practical tools and resources that will help you to improve your writing skills. You will find copywriting blogs, dictionaries, references, teaching classes, articles, tools as well as related articles from other blogs. Something is missing? Please let us know in the comments to this post! 1. Grammar, Punctuation & Co.
An extensive electronic grammar course at the University of Ottawa’s Writing Centre. This site contains 26 short articles with writing tips about ampersands, punctuation, character spacing, apostrophes, semicolons and commas, difference between i.e. and e.g. etc. An older, yet very useful site that will help you to improve your writing on word & sentence level, paragraph level and also essay & research paper level. A compact resource with over 20 articles that cover abbreviations, capitalization, numbers, punctuation, word usage and writing styles. This site contains some useful articles that explain common grammar mistakes, basic punctuation, basic sentence concepts etc. Worth visiting and reading. The Learning Centrecontains similar articles, but with more examples. These notes are a miscellany of grammatical rules and explanations, comments on style, and suggestions on usage put by Jack Lynch, an Associate Professor in the English department of the Newark campus of Rutgers University, for his classes. This guide is based on the style book which is given to all journalists at The Economist. The site contains various hints on how to use metaphors, punctuation, figures, hyphens etc. Brief and precise. An extensive guidance on grammar and style for technical writing. A collection of common errors in English, with detailed explanations and descriptions of each error. A very useful reference for classic errors and helpful hints with a terrible site navigation. Answers to common grammar questions related to English grammar, with examples and additional explanations. A list of common English language problems and how to solve them. This list was compiled through an extensive archive of postings to alt.usage.english by John Lawler, Linguistics, U. Michigan, Ann Arbor. Various articles that aim to teach students how to write better. A freely available online version of the book “The Elements of Style” by William Strunk, Jr., the classic reference book. A blog dedicated to writers and journalists. Poynter also provides Fifty Writing Tools: Quick List, a collection of podcasts related to writing. This site offers over 20 .pdf-documents with main rules and common mistakes related to summarising, paraphrasing, referencing, sentences, paragraphs, linking words and business writing. Handy. UsingEnglish.com provides a large collection of English as a Second Language (ESL) tools & resources for students, teachers, learners and academics. Browse our grammar glossary and references of irregular verbs, phrasal verbs and idioms, ESL forums, articles, teacher handouts and printables, and find useful links and information on English. Topics cover the spectrum of ESL, EFL, ESOL, and EAP subject areas. Free courses are a great way to improve your writing skills. 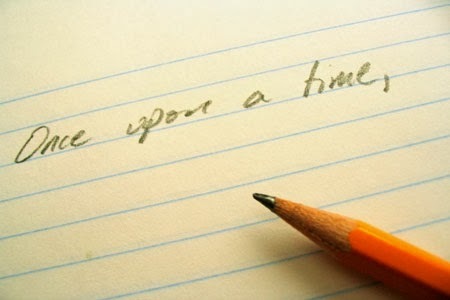 The courses shown here focus on several types of creative writing, including poetry, essay writing and fiction writing. This tutorial is designed to get you up and running with the basics of writing great copy in ten easy lessons. Afterwards, you’ll get recommendations for professional copywriting training, plus links to tutorials on SEO copywriting and writing killer headlines. The ultimate cheat sheet with various Web copy resources that copywriters can use to lean the best writing tips and ideas. More copywriting cheat sheets. Now that blogging has become the smartest strategy for growing an authoritative web site, it’s your copywriting skills that will set you apart and help you succeed. And this is where Copyblogger comes into play. Brian Clark’s popular blog covers useful copywriting tips, guidelines and ideas. Leo Babuta’s blog about the craft and the art of writing. The blog covers many topics: journalism, blog writing, freelance writing, fiction, non-fiction, getting a book deal, the business of writing, the habit of writing. Updated twice weekly. Darren Rowse’s blog helps bloggers to add income streams to their blogs – among other things, Darren also has hundreds of useful articles related to copy writing. A regularly updated blog with useful tips for writers, freelancers and entrepreneurs. Jurgen Wolff’s tips, ideas, inspirations for writers and would-be writers and other creative people. “Whether you are an attorney, manager, student or blogger, writing skills are essential for your success. Considering the rise of the information age, they are even more important, as people are surrounded by e-mails, wikis, social networks and so on. Jay White provides a handful of tips that may increase your productivity and improve your skills. You’ll find many tips and ideas for better writing in his archive category “Writing”. A copywriting blog by the freelance writer Tom Chandler. This collection of resources includes links to 30 posts on Lifehack that may help you to improve your writing skills. More than 13,5 million words in more than 1024 online dictionaries are indexed by the OneLook search engine. You can find, define, and translate words all at one site. A fast, suggest-as-you-type dictionary which you can add to your Firefox search box or use in bookmarklet form (see this post) (via Lifehacker). The Visual Dictionary Online is an interactive dictionary with an innovative approach. From the image to the word and its definition, the Visual Dictionary Online is an all-in-one reference. Search the themes to quickly locate words, or find the meaning of a word by viewing the image it represents. What’s more, the Visual Dictionary Online helps you learn English in a visual and accessible way. OneLook’s reverse dictionary lets you describe a concept and get back a list of words and phrases related to that concept. Your description can be a few words, a sentence, a question, or even just a single word. Free online spell checker that provides you with quick and accurate results for texts in 28 languages (German, English, Spanish, French, Russian, Italian, Portuguese etc.). An alternative tool: Spelljax. GNU Aspell is a Free and Open Source spell checker designed to eventually replace Ispell. It can either be used as a library or as an independent spell checker. Its main feature is that it does a superior job of suggesting possible replacements for a misspelled word than just about any other spell checker out there for the English language. A one-click English thesaurus and dictionary for Windows that can look up words in almost any program. It works off-line, but can also look up words in web references such as the Wikipedia encyclopedia. Features of the free version include definitions and synonyms, proper nouns, 150 000 root words and 120 000 synonym sets. As you write, hold the alt key and click on a word to find a rhyme for it. This English conjugator will help you to determine how to use verbs in the proper tense. Wordcounter ranks the most frequently used words in any given body of text. Use this to see what words you overuse or maybe just to find some keywords from a document. Text Statistics Generator is an alternative tool: it gives you a quick analysis of number of word occurrences. This free tool analyzes texts, calculating the number of words, lexical density, words per sentence, character per word and the readability of the text as well as word analysis, phrase analysis and graded analysis. Useful! Alternative tool. Grammar rules (XML files containing regular expressions) and grammar checker. Currently only for the English language, although it could be extended. Unit tests are built into the rules. Might form the basis of a grammar checker for OpenOffice. Txt2tags is a document generator. It reads a text file with minimal markup as **bold** and //italic// and converts it to the formats HTML, LaTeX, MediaWiki, Google Code Wiki, DokuWiki, Plain text and more. And if you’re a writing major, why not take advantage of all the opportunities to get great free and open source resources that can help you to write, edit and organize your work? Here’s a list of fifty open source tools that you can use to make your writing even better. If you have a question related to English Grammar, join these forums to get advice from others who know the language better or can provide you with some related information. A round-up of applications, services, resources, tools, posts and communities for writers and bloggers who want to improve their writing skills. 100 useful Web tools that will help you with your career, your sanity and your creativity whenever your write. More useful round-ups.